An issue of serious contention here in the South West, is that of the ‘proper’ pasty. With the Cornish across the border having their famous pasty, not only protected by the EU but easily recognised, it is often though that this is the only way to make a pasty. In actual fact, Devon has traditional pasties too, and it is even hotly debated as to whether Devon or Cornwall first came up with the delicious and iconic pasty. The main way to tell the difference between and Devon and a Cornish pasty is by the crimping. Cornish pasties, coming from a heritage of mining have their crimped edge on the side, lore has it that the miners would be sent down the mine with a home cooked pasty for their lunch, and this side crimp would allow them to hold the pasty despite their dusty hands, and they would simple discard the crimp when finished. This reasoning is also strongly debated, and as it is largely ceremonial in today’s world we won’t go into detail on that here! The recipe itself changes little between the counties, but with small variations between each. Largely the recipe is passed down family lines, and as with all cooking, everybody has a slightly different way of doing things. But here we will explain a tried and tested way of making plain Devon pasties. Once you are confident with the recipe and the techniques used, you can try different fillings such as seasoned meats or sweet fruit or even make bigger pasties or smaller cocktail pasties for a buffet, the world is your oyster with a good recipe. First to make the shortcrust pastry, rub the butter into the flour with your fingertips until it resembles fine breadcrumbs. Add a pinch of salt if desired. Make a well in the centre and add water by the tablespoon, mixing it in with a flat knife until the mixture comes together to form a soft dough. Pat this together into a ball with floured hands, and refrigerate whilst preparing the filling, or for around 30 minutes. Chop the swede, potato, onion and beef into small cubes and combine in a large bowl to ensure an even distribution of the elements. Oil a baking tray thoroughly and line if desired, even some of the best pasties stick and they can be difficult to remove from the tray, however they can also be difficult to remove from baking paper too! Preheat your oven to Gas Mark 5, or 190°C. Once chilled, turn out the pastry onto a floured work surface and divide it into six portions. Taking each portion individually roll out until around a half a centimetre (quarter inch) thick in a roughly circular shape. Add your ingredients across the centre of the circle in a small pile. And wet one edge of the pastry where your join will be to help it stick. Gather the edges together, pulling them up and around the filling to meet in the middle, just above it. Press the edges together with your fingertips. Crimping is an art-form! The easiest way to create this is to use your fingers to make a fluted pattern along the raw edge you have just made, holding with your thumb and index finger on both hands, right next to each other, and twisting in opposite directions, folding under as your work along. 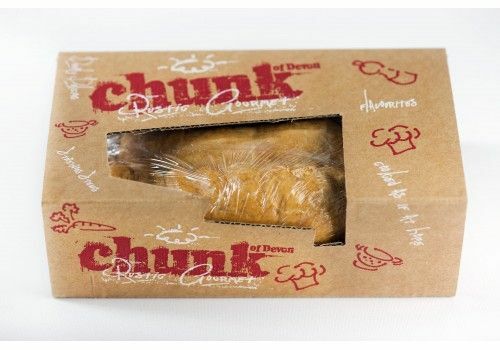 Different chefs do this in different ways, so don’t worry if your way is not like this, as long as the edges are sealed and the filling won’t leak, the pasty will be ok! Gently transfer the pasty to your baking tray, and brush with the beaten egg to glaze. Once all your pasties are done, bake in the preheated oven for around 45 minutes to 1 hour, or until golden brown. Enjoy your traditional, homemade Devon pasties! 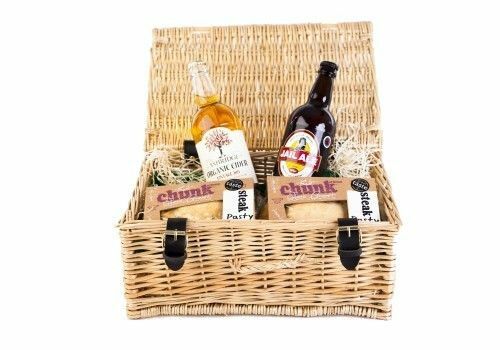 If all this seems like too much work, you could always order Chunk Devon Pasties online or in one of our delicious Devon Pasty Hampers. 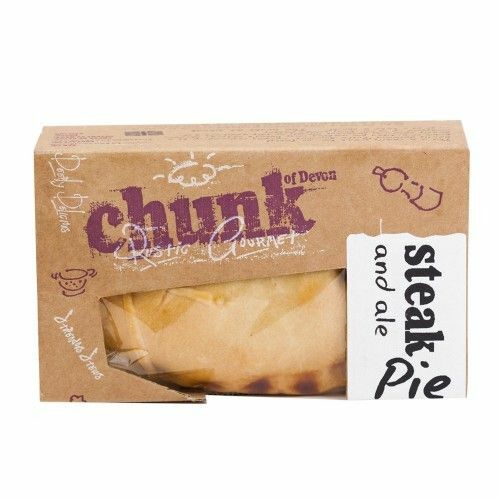 Ready made and award-winning, you won’t find many better pasties than these! Bring a little taste of Devon to your home cooking with our recipes. 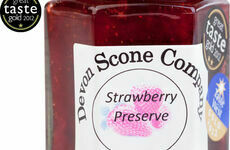 We hope you enjoyed trying out some baking with real Devon flavour with our first Recipe of the Month last time. 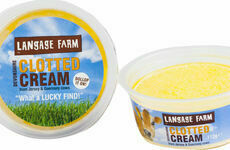 This time, we thought we'd go with something a little more unusual, by trying Exeter Pudding. We do love pancake day! But the same old thing every year can get a little repetitive, even if that thing is delicious pancakes. So we went on a mission to find some more unusual recipes to try.